Rosemary, sage, thyme and other herbs have become more popular over the years since they are completely natural and have many health﻿﻿ benefits. People are growing more and more interested in health and fitness. The spotlight is now on these herbs, especially rosemary. First of all, you have to know how rosemary looks like so you do not confuse it for some other herb. Rosemary is a small evergreen shrub which has little, flat pine-like leaves which look like needles. It is related to the mint tree. The part of the rosemary tree used as a spice is its needle-like leaves. I recently discovered that apart from its use as a spice, rosemary also serves other purposes. It can be used on your hair to make it healthy and shiny. It also finds use as a pest repellent. For you to use rosemary well, you need to know what it goes well with. Here are a few possibilities. Meat: Meat is an obvious pick because spices take it a notch higher I must say. Use it on beef, chicken and even lamb. Soup and Sauce: Rosemary is an excellent addition to most soups and sauces. Salad: Add rosemary to vinegar and use it to make salads like tomato salads or tomato and feta salads. In general, it goes well with tomatoes. Bread and Pasta: Sprinkle some of it on pasta or rub it into the bread dough. In the end, what you get is some unforgettable bread. Drinks: Rosemary will also be used to make amazing detox tea. It works well to make fantastic cocktails. Dessert: For those with a sweet tooth, this is for you. Use it as a fresh ingredient in making pies and even coffee cake. It has a sage-like, peppery flavor with a woody and bitter aftertaste. It has a pine-like fragrance. Fresh rosemary retains its scent well. Add it to the food either at the beginning or end of cooking. Dried rosemary also keeps its flavor. However, you need to add it to the food early to avoid an earthy or moldy taste. Another problem with it is that it tends to hurt you in the mouth. It is a lot like having many small sticks in your food. As a result, some have resolved to invest in crushed rosemary like this one. The problem with crushed rosemary is that it tends to lose its potency faster. It is safe to say that rosemary, like many herbs, is best when fresh. You may even opt to grow your own. If you do decide to do this, you may end up with much more rosemary than you need. This process is simple enough to do it in the comfort of your home. Your options are air-drying, oven-drying, microwave- drying or dehydrating the rosemary and storing it in a bottle. All these methods are convenient for making your rosemary when you need it later. This video gives a step by step guide of how to dry your rosemary using a microwave. It is quite informative. Who knew that rosemary could be frozen? I had no idea. Suspend the rosemary leaves in olive oil or filtered water before putting them in the freezer. This salt is very useful in marinating food. This method works by placing some rosemary leaves in sea salt and mixing it with some lemon zest. The product should then be pulsed in a food processor until the desired size before storing it in an airtight container. Pair your rosemary with some vinegar or olive oil. This injection is then added to a simple salad to transform it into a masterpiece. Alternatively, you may use it for marinating different foods. For a very long time, Rosemary has been known to enhance memory. 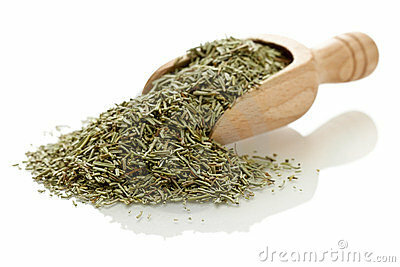 Research also suggests that drinking rosemary tea leads helps mental clarity keeping you sharp for longer. It reduces muscle pains, heartburns, and digestive tract problems. Due to its pain-relieving properties, it is widely used by people who have arthritis. When you feel anxious, stressed or even a tad bit depressed, you should consider sipping some rosemary tea. It has been proven to reduce stress and anxiety. This magic plant may help you in unwinding after tiring workdays. I would highly recommend it to people suffering from mild depression. At the end of the day, Rosemary is a spice you need to have in your kitchen. You could also invest in other aromatic spices like sage, basil or thyme. These also have various health benefits. I recommend basil. Get some from here today. Be careful not to overdo it. It has come to my attention that intake of too much of aromatic substances is harmful to your health. Like in all matters of life, proceed with moderation. Use rosemary in moderate quantities. If you have any burning questions about the article, you can always comment on it in the box below. I am always eager to hear from you.